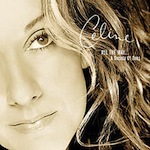 Céline Dion is one of pop’s all-time greatest voices and without a doubt THE voice of the 1990s. She’s worked with the best producers and songwriters – from David Foster to Walter Afanasieff, Jean-Jacques Goldman and many more – and has always elevated their songs to heights only she can reach. Céline Dion has an “international” career (in English), and a French career. If you are not familiar with her French songs, there are some real gems that I hope you will discover with this blog. 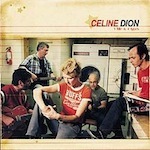 A stylistic departure, “1 fille et 4 types” (1 girl & 4 guys) is a great pop-rock album, with hints of blues and folk. The “4 guys” being the cream of the crop of French songwriters and producers: Jacques Veneruso, Erick Benzi, Gildas Arzel and Jean-Jacques Goldman. Not sure why it took six producers but this is one where the many cooks didn’t spoil the broth! I love the drum break before the chorus – that makes the whole song for me. The Swedish are the best at pop, and Max Martin is the best of the best. Great track. Beautiful melody from Jean-Jacques Goldman, the “godfather” of French pop and one of my all-time favorite artists and songwriters. The song is understated and a “grower”… typical JJG. A beautiful track from the Gibb brothers, who remind us here what great songwriters they are. I remember seeing a documentary on TV, with the brother Gibbs meeting Céline in the studio, and hearing her sing their song for the first time. A very emotional moment that brought Barry Gibb to tears… I found the clip on YouTube here. 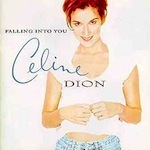 One of the biggest-selling singles of all time with over 15 million copies (not including album sales)… enough said! The megalomania of Jim Steinman has found its match. Epic. 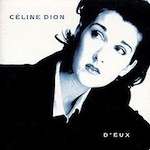 The song that broke Céline Dion in France and one of Jean-Jacques Goldman’s best. 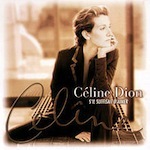 Here again, Céline Dion’s take on the Jennifer Rush classic is the definitive version. Great build up. 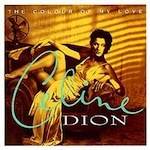 A great version of the 1950s classic, with beautiful harmonies by Dion and Griffin.